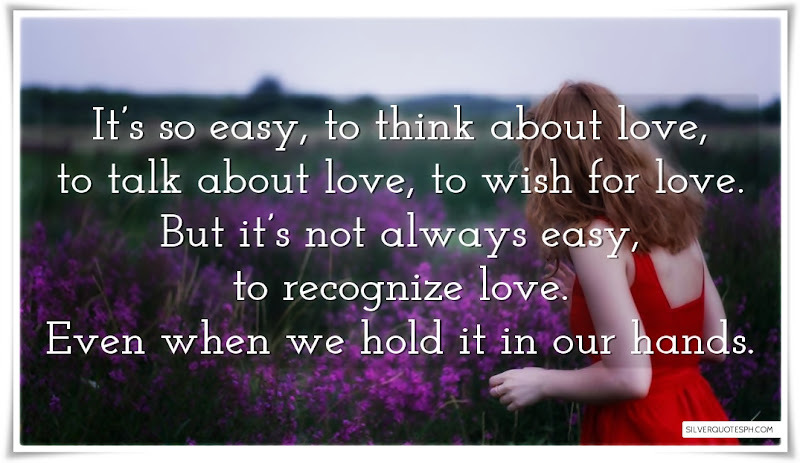 It’s so easy, to think about love, to talk about love, to wish for love. But it’s not always easy, to recognize love. Even when we hold it in our hands.